The number of women military veterans in Virginia now is about equal to the population of Roanoke. Nonetheless, the service of many of these women is not noticed — by the public and even by some male veterans. 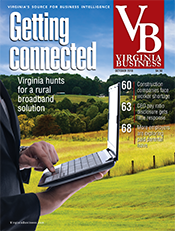 The Virginia Department of Veterans Services (DVS) is trying to change that while establishing a pipeline of highly skilled veterans and their spouses for the commonwealth’s workforce. “First of all, we need to recognize that Virginia has over 100,000 female veterans —14 percent of the over 700,000 veterans we have. We are a significant number. So, first, we have to make everyone aware that we’re here,” says Annie Walker, a former Army drill sergeant who heads the Veterans Education Training & Employment section at the DVS. Nationally, women represent about 8.5 percent of America’s veterans. Among veterans who have served since 9/11, however, women make up 17.4 percent of the total. The percentage is rising because participation of women in the military overall is growing as they take on increasingly responsible — and dangerous — roles in every branch of the military. Elected last November, Gov. Ralph Northam, a Democrat, is continuing efforts pursued by his predecessors — Republican Bob McDonnell and Democrat Terry McAuliffe — to make Virginia the nation’s most veteran-friendly state. 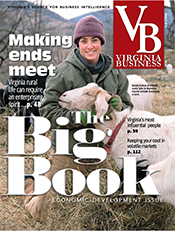 The state government hopes that, in putting down roots here, many veterans will join the civilian workforce, helping to fill skills gaps in a number of Virginia industries. Northam, who served as an Army physician for eight years, is well acquainted with the needs of veterans and their families. It was not lost on anyone that, after taking the oath of office in January, he made the DVS his first stop on a tour of state agencies. 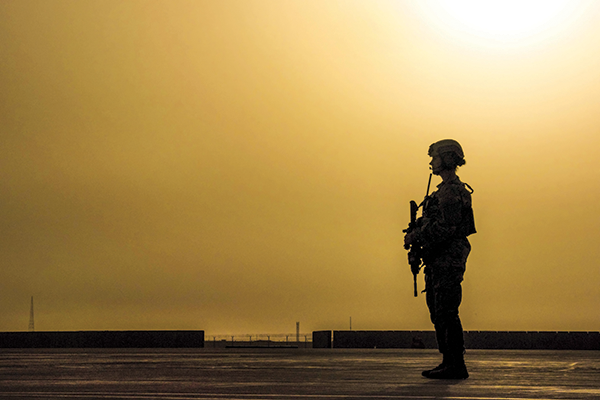 Evidence of the department’s increasing focus on women veterans is seen in two recent events. The governor’s office proclaimed March 18-24 as the first Women Veterans Week in Virginia. That observance will become a permanent fixture on the calendar on the third week of March each year. Also, Northam’s wife, Pam, and the wives of McAuliffe and U.S. Sen. Tim Kaine — Dorothy McAuliffe and Anne Holton — were members of an honorary committee involved in the annual Virginia Women’s Veterans Summit. 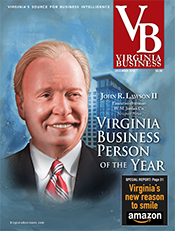 This year’s event was held June 14 at the Hilton Alexandria Mark Center hotel. 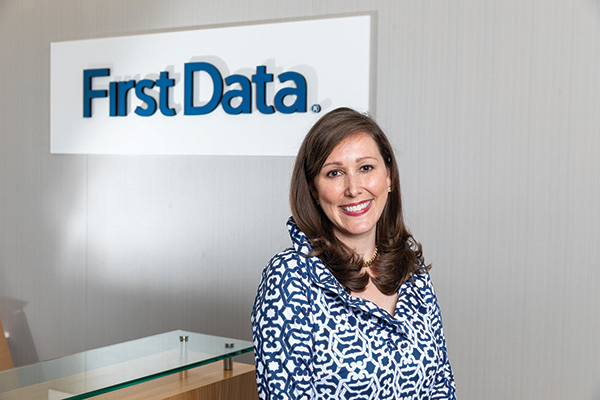 One of the people speaking at the conference was Vivian Greentree, a senior vice president with First Data, a credit-card processing company with 24,000 employees serving about 6 million business locations and 4,000 financial institutions in more than 100 countries. Greentree, who lives in Northern Virginia, is a Navy veteran and a Navy spouse — her husband is still on active duty. She has been credited with increasing the portion of military-affiliated hires at the company from 1 percent to more than 10 percent. Greentree says women veterans, like their male counterparts, entered the military for patriotic reasons. “I wanted to serve my country,” she says. Charlie Palumbo, director of transition and employment programs at DVS, says Women Veterans Week and the summit represent building blocks in the creation of a support system for women veterans. She believes raising the profile of women veterans also is an important part of the global conversation about the place of women in society, especially in leadership roles. “It just takes a group of women standing up together and saying, ‘Yeah, we are veterans, and we are women,’” she says. In sharp contrast to men, women veterans tend not to talk about their military experience, Palumbo says. She speaks from experience. A Navy veteran, she also is the wife of a veteran. “A lot of men are like my husband. You’ll know he’s a veteran within the first 10 minutes of talking with him. But … he’ll probably tell someone I’m a veteran before I do,” Palumbo says. She and Walker say that, when they left the military, there were few resources to help women veterans transition into civilian life. “The system was set up for males,” Walker says. But she adds that, with the support of the governor’s office and the legislature, Virginia has made great strides in recent years helping women veterans make the transition, either through landing a job or seeking more education. Support for veterans, Walker says, is a bipartisan issue for the state legislature. Besides turning the spotlight on women veterans, the DVS also is looking at the problem of employment and underemployment among military spouses. A 2016 national report found that the problem could be costing the U.S. economy $710 million to $1 billion annually. The report was based on a study commissioned by the nonprofit Blue Star Families, which supports military families. Data from a 2010 analysis by the Rand Corp., a nonprofit think tank, as well as 2015 data from the U.S. Bureau of Labor Statistics, puts the military spouse unemployment rate in a range of 12 to 18 percent. The nation’s overall unemployment rate in May was 3.8 percent. Being a military spouse often means a lot of moving, making it difficult to maintain a career or even find a part-time job, state officials say. Walker adds that, since the state’s goal is to keep more service members in Virginia when they leave the military, the needs of their families must be addressed. 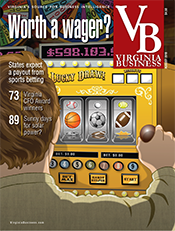 While Virginia ranks 12th among states in overall population, it ranks seventh in its total population of veterans and fourth in the number of working-age veterans. The state’s initiatives have included the Military Medics and Corpsmen Program (MMAC), which has created employment and educational opportunities for medically trained veterans. Thanks to General Assembly action, MMAC, originally a two-year pilot program, was scheduled to become permanent on July 1. The program provides qualified former medics and corpsmen with an avenue to achieve licensure and certification so that they can work for health-care providers. So far, the program has attracted about 40 applicants. 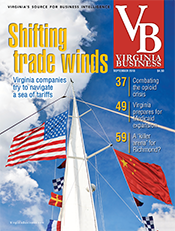 Besides reaching out to health-care providers, the DVS has been developing partnerships with major corporations and the Virginia Chamber of Commerce. A new program with the chamber called “Hire Vets Now” is designed to match employers with transitioning military personnel who have job skills that companies seek. 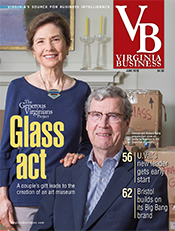 Barry DuVal, the president and CEO of the Virginia Chamber, says more than 65 companies signed up for the program this spring. “This is becoming a model in the commonwealth for hiring veterans,” DuVal says. 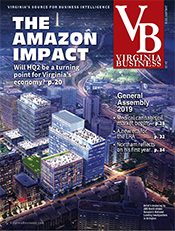 He notes that in Virginia about 100,000 jobs are waiting for qualified applicants, especially in fields such as cybersecurity, information technology and health care. 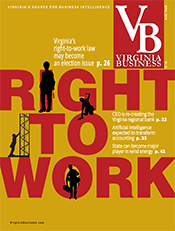 The “Hire Vets Now” effort involves not only chamber members but also companies participating in the state’s Virginia Values Veterans (V3) program. DVS began V3 in 2012 when veterans’ unemployment soared following the 2007-09 recession. 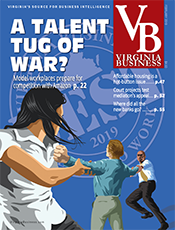 “The idea was that it was more beneficial and more efficient to train employers how to hire veterans than it was to train a thousand veterans to go look for a job,” says Ross Koenig, V3’s director. 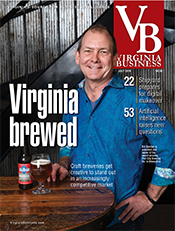 In V3’s first year, the goal was to recruit and train 50 employers, but twice that number joined the program. Since then, V3 has been on a roll. “We currently have 550 V3-certified organizations and another 650 enrolled organizations that are working toward certification,” Koenig says. The number of veterans hired as a result of the program has reached 33,000 so far. Northam has set a goal of hiring 60,000 veterans before his term ends in 2022. One of the recently certified V3 employers is Geico, the giant insurance company. Ludwig adds that Geico not only employs veterans but spouses of active-duty military personnel. “They end up being really great hires,” he says. 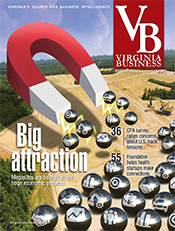 Visit the Virginia Values Veterans website for a list of V3-certified companies.